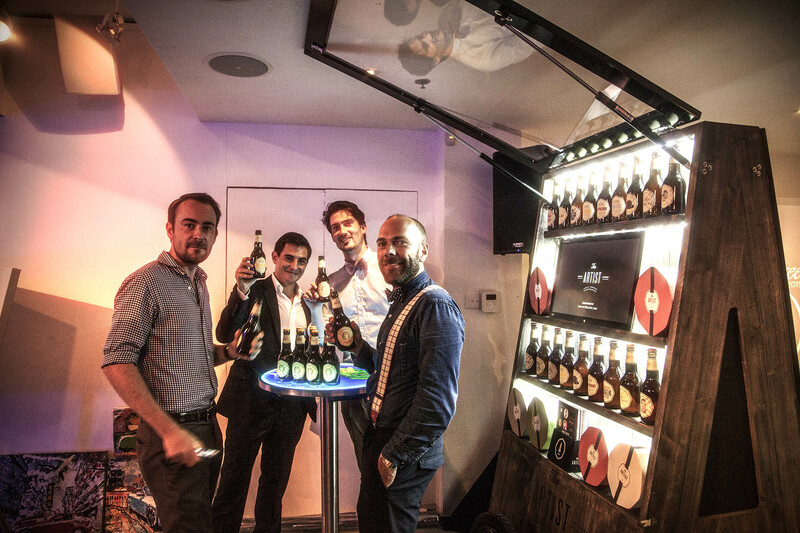 We provided a pop-up shop for the Artist to promote their brand and products, which are Belgian craft beer and Belgian chocolate. 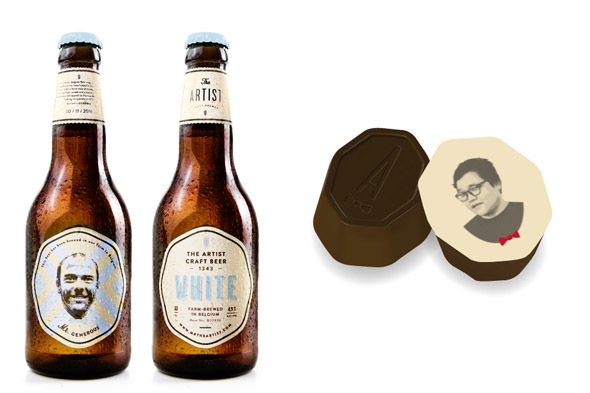 Their products have a very special feature that allows customers to print their photos onto the beer bottles and chocolates. 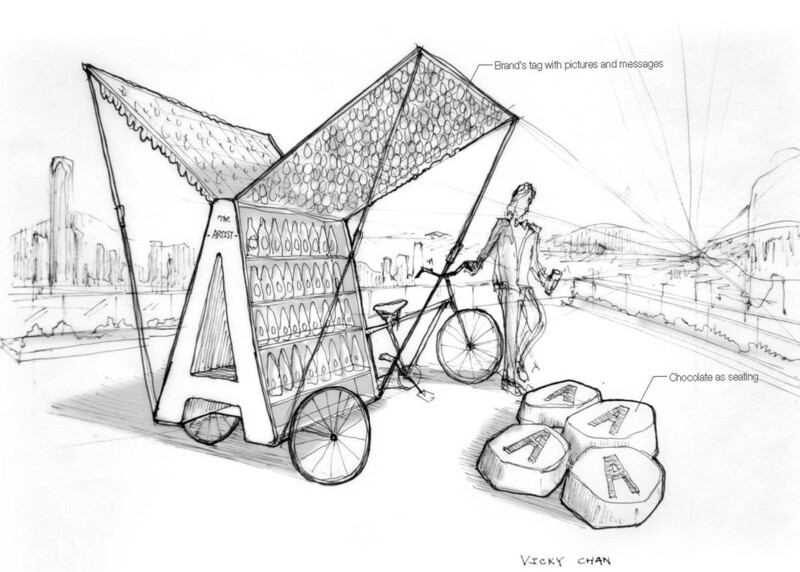 The original sketch is to use the “A” from the brand logo to create a mobile shop that can be moved into different events, like rooftop party to chocolate tasting in shopping mall. 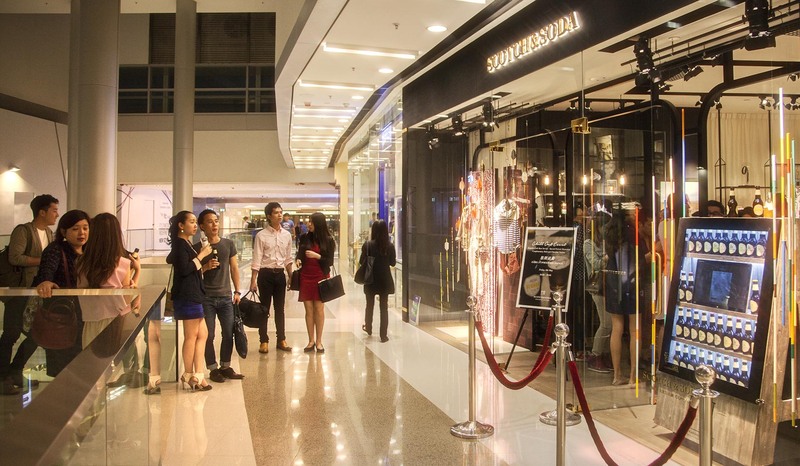 The shop evolved throughout the design process to accommodate different needs for their products. 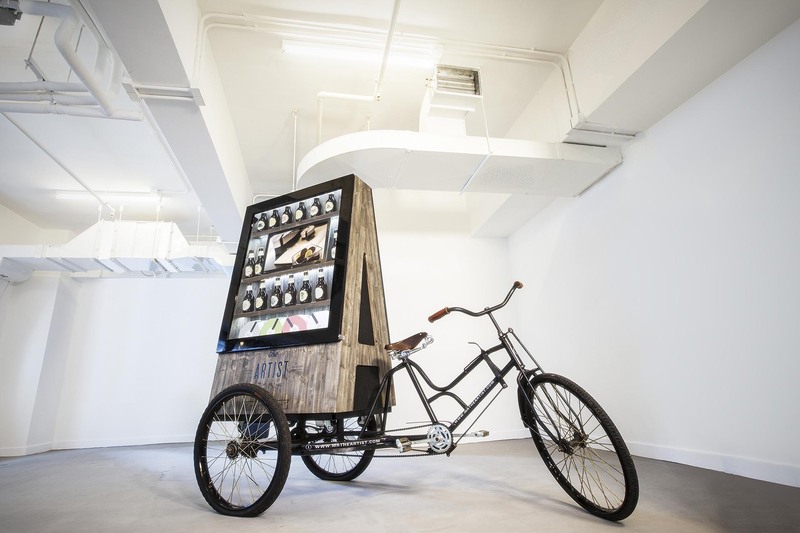 The final outcome combines 6 different functions and 4 different configurations. 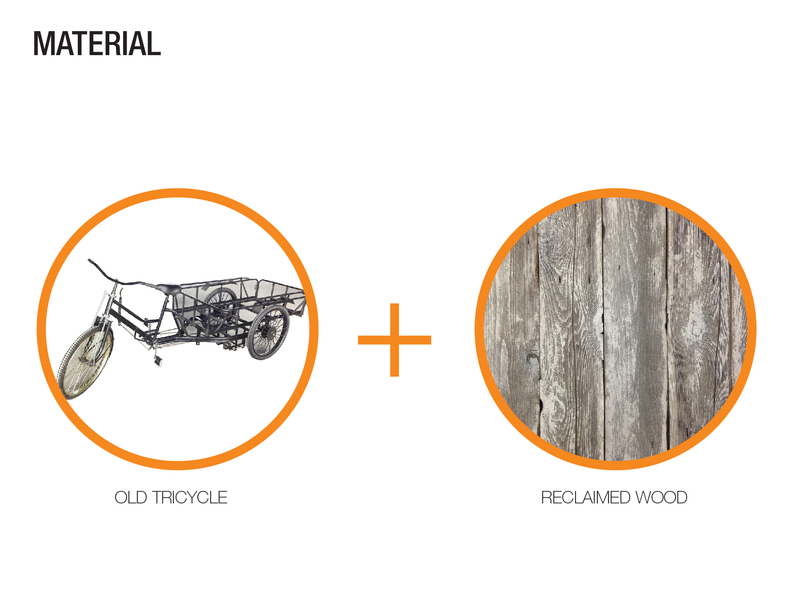 To be consistent with our sustainable approach, 85% of the material used are salvaged wood, metal and tricycle. 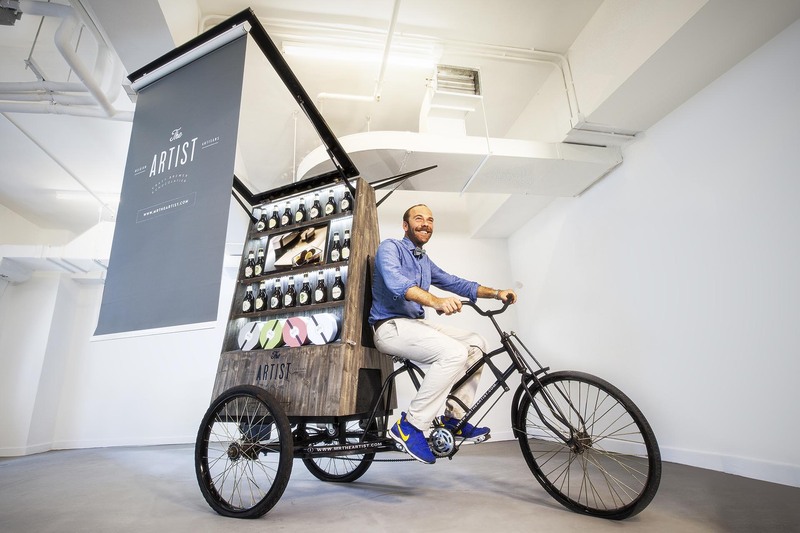 Pop-up with flexibility, mobility, sustainability and integration of technology is undoubtedly the future of brick-and-mortar retail. See our furniture design for international flag plaza. 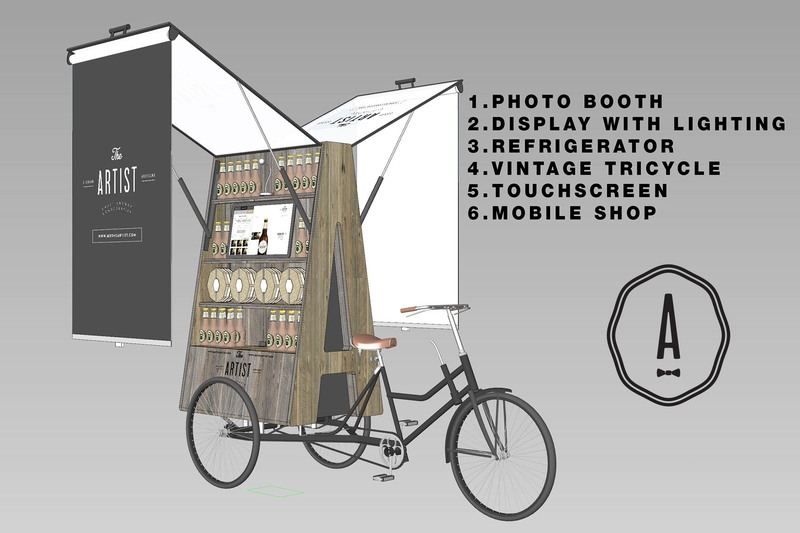 We designed a mobile pop-up shop that combines 6 different functions and 4 configurations for Mr The Artist. Fabrication: HT Furniture and Ideal Decoration Co.